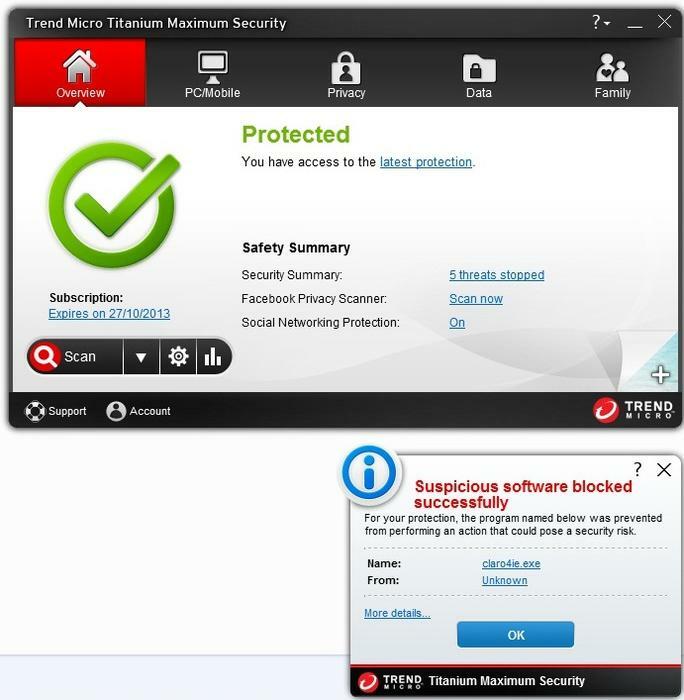 Trend Micro's Titanium Maximum 2013 security suite adds some social networking security features that can check Facebook privacy and any links that show up in your feed. It's not a program that will prevent all Web nasties from infiltrating your system though, so you'll still need to keep your wits about you while you surf and take care in what you download and run. 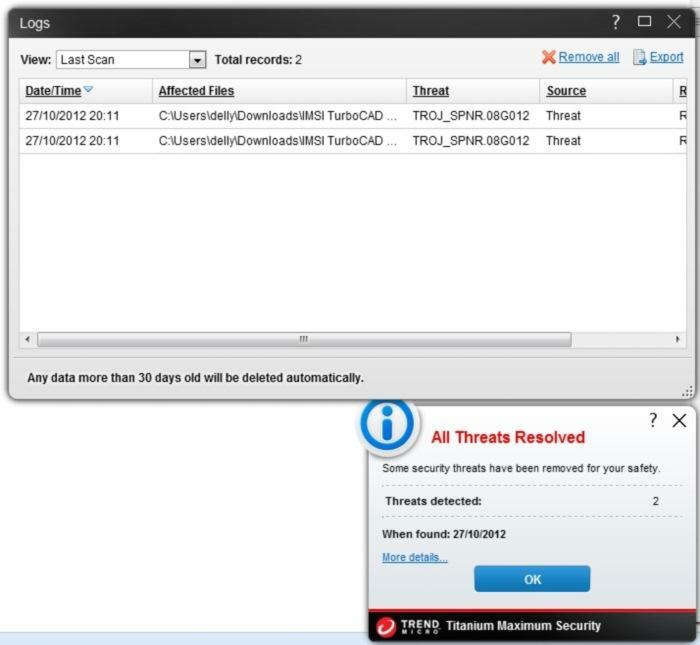 Trend Micro's Titanium Maximum Security 2013 is an all-encompassing security suite for PCs and Android devices. It can protect against viruses, spyware and other Web threats, in addition to providing a few extra features such as parental controls, cloud storage and password management. It builds on the 2012 version by incorporating social networking protection, data theft prevention and Facebook profile privacy checking. Titanium Maximum Security 2013 is an easy suite to install for the average consumer and it's fairly unobtrusive as far as antivirus programs are concerned. You do get some pop-ups from time to time, which usually promote a new feature or offerings from the vendor (you'll one as soon as you install it telling you about the phone protection you can enable). Updates and scans are transparent to the user and the software doesn't make a noticeable impact on performance as it runs in the background. It has three performance settings to choose from: Extra Performance, Balanced and Extra Security. These affect the way the program starts when your computer boots. The Extra Performance setting will load the security drivers only after your PC has well and truly booted and your system is running smoothly. The Extra Security setting will load the security drivers straight away upon boot up, which can slow down some computers depending on their configuration. The default setting is Balanced. The only time you might notice a slow-down in performance is when using the parental features or the social networking protection, the latter of which needs to install a toolbar in the Web browser (we used Firefox for our tests), and also because user interaction is needed for some features; you'll need to supply a password before you can access the Internet, for example, when Online Guardian is on. In a way, these are the most useful features of the Maximum Security Suite, especially if you have a family that you want to protect from the more questionable aspects of the Web. When filtering is enabled, flagged sites will be blocked. 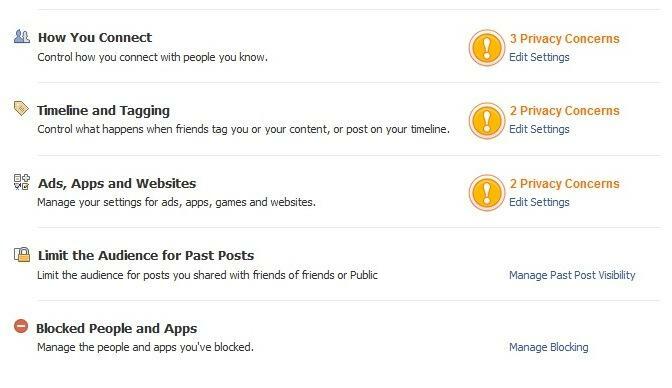 The Parental Controls feature has different levels of filtering that can be implemented, depending on age groups, and you can also flag any URLs manually. Any sites that aren't allowed to pass through the filter will bring up a warning page asking for a password. Furthermore, the settings can be applied to Windows users, which means that the parental controls can be implemented easily on a shared computer without affecting other users too much. 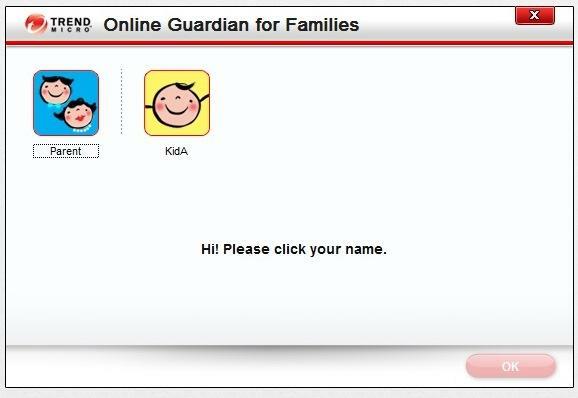 Online Guardian is another part of the parental controls that is Web based and it can provide a report on the social sites that your kids are visiting, and how often at that. It monitors Facebook, Twitter, Flickr, YouTube and MySpace. You can also see the keywords they are searching for and any blocked sites that they have attempted to access. With Online Guardian, your kids can have their own accounts and won't be able to access the Internet without entering the password you give them. 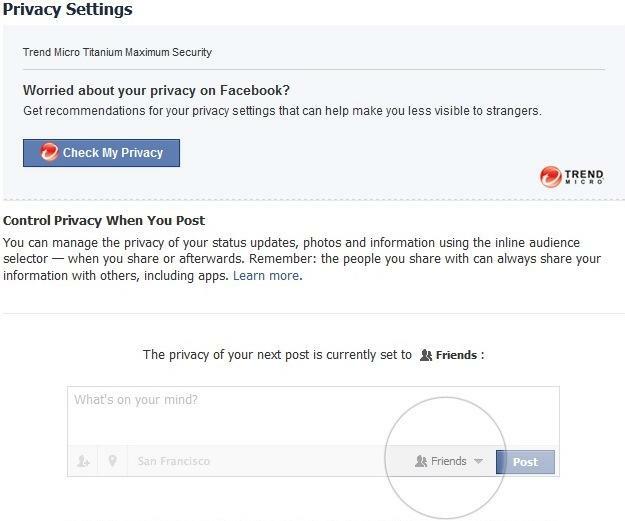 Facebook privacy can be checked easily through the Trend Micro interface. Once you supply your login information, you'll get a "check" button in your account that can inform you of the changes you need to make to your account to make your data secure. It'll let you know which settings you need to change to make your data private. Facebook privacy can be checked easily. You get alerts for settings that need to be changed in order to keep your data private. 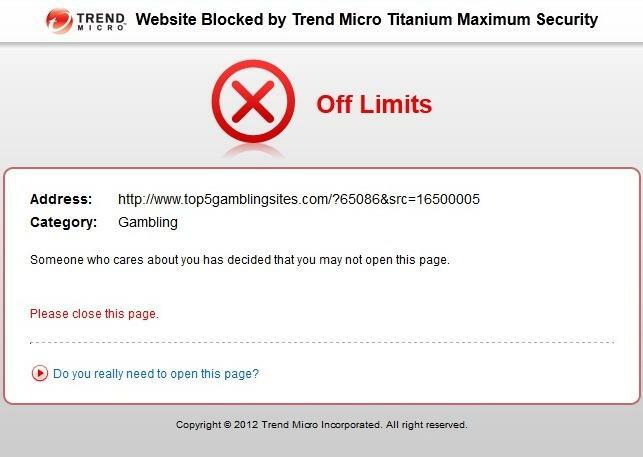 Furthermore, there is a plug-in that can analyse links within social media sites, so that you can see if posted links are clean, which means they have been checked and cleared by Trend Micro as being safe, or questionable, which doesn't necessarily mean that the link is dangerous, just that it is unknown to Trend. You can set it so that it also gives you this information as you mouseover a link, but that can really start to interfere with the overall Web browsing experience. 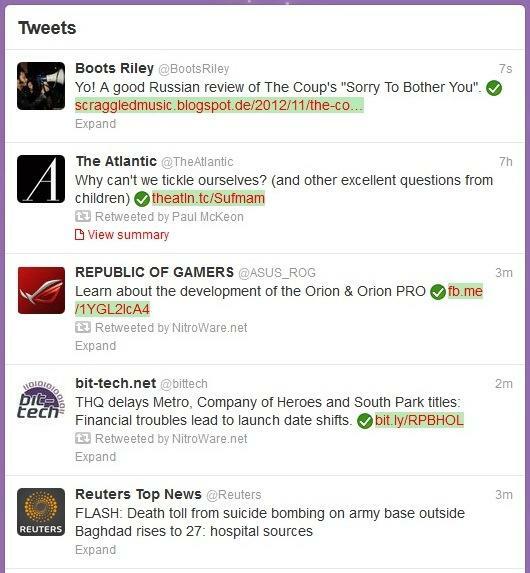 Links in Twitter are actively checked by the software. Even though Trend Micro's suite can protect you from viruses, it still doesn't mean that you should throw caution to the wind when browsing the Web or downloading BitTorrent files. Programs that can hijack your Web browser should still be of concern to you, so make sure that you never install any software from a dodgy sources, and also say no to any toolbars and extra programs that are offered as install options when you install ad-supported programs. For example, while the security suite managed to stop five threats on one of our tests systems during a particularly reckless Web browsing and downloading session, including one virus (TROJ_SPNR.08G012), it didn't prevent Firefox from being hijacked by "Claro-search". Subsequent full system scans did not pick up on any problems with our test system either, so we had to resort to other means in order to clean it, which weren't easy. A couple of viruses were detected in this sweep. Overall though, the suite is adequate for family use and we like the fact that it now incorporates social media protections and warnings in addition to parental controls, cloud storage and mobile device protection. Some aspects of the user interface could be better; we'd love it if the windows could be maximised, for example, and if more information could be given on some of the Web threats that the program detects. You still need to be vigilant while you browse the Web and cautious in what programs you download and run — Titanium Maximum won't pick up on everything, as we noticed in our tests. With the $129 version of this software, you can install it on up to five different computers using the same product key. The same product key can be used to enable mobile security for Android devices, as well as DirectPass password management. You also get 10GB of SafeSync storage as part of the deal. The suite runs just fine on Windows 8 — we tested it without any problems.